David Yaffe's excellent new Joni Mitchell biography, "Reckless Daughter," (Farrar, Straus and Giroux), hits the right bittersweet note about the iconic singer-songwriter: she's a flawed human being (like all of us), of amazing gifts. Mitchell, of course, is the tall blonde musician (and visual artist) from the western Canadian province of Alberta who came to the U.S. in the mid-1960's and came to epitomize that decade's long-haired, confessional singer model. Her early hits included songs such as "Both Sides, Now," (originally made popular by the singer Judy Collins) and "You Turn Me On I'm a Radio." Love, and its discontents, has been one of Mitchell's major themes. But in a performing and recording career that has spanned five decades - from the 1960's until the early 2000's - she has explored a wide array of topics, from the ecological degradation of the planet to our individual quest for meaning. In addition to a wide array of subject matter, Mitchell has explored a wide array of musical styles, from folk to pop-rock to jazz to orchestral music. The biographer Yaffe, a New York Times writer, has subtitled his book "A Portrait of Joni Mitchell," which gives a clue to his strategy. This is a book about Mitchell's life as seen through her music. The structure is basically a chronological examination of her almost twenty original studio albums: the songs, the musicians, and what was happening in Mitchell's life at the time of the recording. 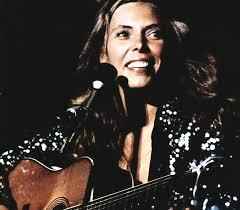 Especially for Joni Mitchell fans, this is a great read! Two themes emerge from the book: Mitchell is probably not an easy person to live with; and she has been blessed with extraordinary gifts. The book is filled with Mitchell bad-mouthing and belittling many of the people who have been a part of her life, especially including many of her former lovers (some of the biggest names in late-20th century American music). Also, with real affection, she talks about some of her childhood friends, and about at least a couple of her ex-lovers (Graham Nash, and the drummer John Guerin). In a video interview I saw recently on-line, the older Mitchell said, smiling, "I have a lot of joie de vivre. Which alternates with my irritability." In regard to her gifts, there is an interesting excerpt from the book. At a point in her career, fairly early on, Mitchell was musing about her own recent past, and how her life had come to a kind of crossroads. In regard to what had informed her own decision-making, she said something like, "I felt a responsibility to my gift. Because it kept on growing." There's no doubt in my mind that Mitchell's music has certainly been a gift to me, and to modern society in general. This article has been viewed 2,167 times since being added on November 27, 2017.